Dear readers - I hope you are enjoying the last day of the easter holiday. 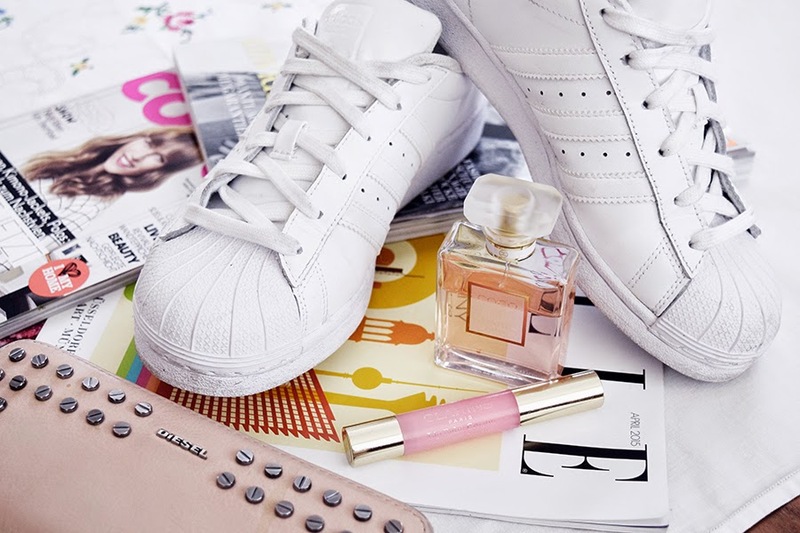 Adidas Superstar Sneakers in all white. Coco Chanel Mademoiselle Perfume. Diesel Studded Wallet. Clarins Lipbalm Crayon Baume Lèvres. Birthday Thoughts - Thank You !